Sultry stuff from Maggie Rose. 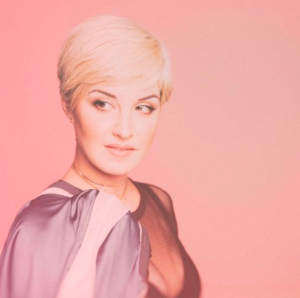 Maggie Rose is back with new music. She’s been one of my favorites since her early music back a few years ago. She just has a unique voice and style. Back when I first started hearing her music and reviewing it here on the blog I thought she was destined for big things. That hasn’t happened quite yet, but she keeps putting out some really great music. This song is another good one. It’s mature. It’s something I think country fans would like. It’s pretty cool to have a song like this in country music. You don’t hear too many like it. And you especially don’t hear it too much from female artists. Maybe Maggie is taking a risk in that way, but I think she’s going to connect with a lot of listeners with this one. As usual she nails the vocals. Her voice is suited for so many types of songs and this sultry love song is one that she really nails. You can feel the emotion and you’re probably thinking about someone special in your life that you feel this way about. Is country music ready for this kind of song? I don’t see why not. I hope that country fans discover this one. I know Maggie has been on Wild Country before. Hopefully this one makes it there. Maggie is still putting this music out on her own. But it just takes one song with a little momentum to get her on a major label.